The results of Azerbaijan scholarship and aptitude tests have been announced. Today’s media companies are seeking communication and media professionals who not only can perform the duties of a journalist or a public relations or advertising practitioner, but who are also comfortable with visual design and content production for digital media—e.g. online publications, blogs, podcasts, virtual communities, interactive advertising. New Media at ARUCAD is uniquely positioned to prepare students for today’s converging media environment, where communication professionals are expected to have a broad range of knowledge and creative skills, from critical thinking and excellent writing to the ability to create interactive media, digital arts, and strategic communication campaigns. Students who opt for the New Media Department at ARUCAD shall surely benefit from a contemporary understanding of emerging trends in the evolving communication industry, as well as receiving guidance for connecting classroom learning with local and global market mechanisms. Born in 1989 in Nicosia, Ömer Yetkinel obtained his Bachelor’s degree from the Eastern Mediterranean University, Master’s degree from the University of Greenwich and completed his PhD in the communications field with a thesis on “Big Data and Structural Transformation of the Public Sphere” at the International Cyprus University. He has been giving lectures on digital communication, multimedia and film production at various universities since 2012. During the recent years he has been conducting researches on particularly in personal data security and microtargeting. Since 2010, he has been working as a director, cinematographer and editor on many advertorials, music videos, documentaries and short films that were produced by the production company (InMotion) which he had set up. During the same period he has also worked professionally as a political communication adviser at the local, presidental and parliamentary elections that were held in Cyprus. His interests include virtual reality, aritifical intelligence and audio-visual projects. Berrin Yanıkkaya is a Professor of Communication Studies and the Dean of the Faculty of Communication at ARUCAD. Before joining ARUCAD she had been working as the Head of the School of Communications Studies at Auckland University of Technology in New Zealand and before locating to New Zealand, she had worked for Yeditepe University in Istanbul for 20 years. Her most recent roles there were that of Deputy Dean of the Faculty of Communications, as well as Head of the Undergraduate and Postgraduate programmes in the Department of Radio, Television and Cinema. She received her Bachelor’s degree in Communications from the Department of Radio, TV and Cinema, Ankara University (1995), her Master of Arts degree from the Department of Radio, TV and Cinema, Yeditepe University (1999) and her PhD degree from the General Sociology and Methodology Doctorate Program, Mimar Sinan Fine Arts University (2004). She was awarded a post- doctoral research fellowship by TUBITAK-BIDEB for her research on alternative media at York St. John University, York, UK in 2013. Professor Yanıkkaya’s areas of academic interest lie in the crossroads of Women’s Studies, Cultural Studies and Media Studies. From the very beginning of her academic career, her focus has been on the construction of female agency through cultural and media production and meaning-making processes. She has taken part in various international steering committees and boards, served on editorial and advisory boards for different matters, and directed and participated in a variety of academic projects. Ali Azhari is an Iranian filmmaker and cinematographer holding a M.F.A. in screenwriting/cinematography and has been professionally working in Iranian cinema as a director of photography for years. His field of research is focused on interactive and post-cinema. Arvin Medghalchi is an Iranian animated filmmaker and illustrator. He has a degree in Visual arts and Visual communication design and more than 15 years of experience in directing independent animated films. He is mostly known for his stop-motion animations which have been screened and awarded from many international film festivals. His field of interest is to use mixed medium to approach the best results in visual storytelling. Lately he has been working on his first animated feature film and a documentary. 2017 ‘’ Resident of the seventh deadlock’’ Documentary – Work still in progress. 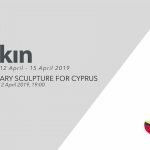 Founded in North Cyprus in 2017, Arkin University of Creative Arts and Design (ARUCAD) is a thematic art university that is wholly dedicated to the fields of art, design and communication. ARUCAD’s goal is to become one of the most reputable universities in art education.